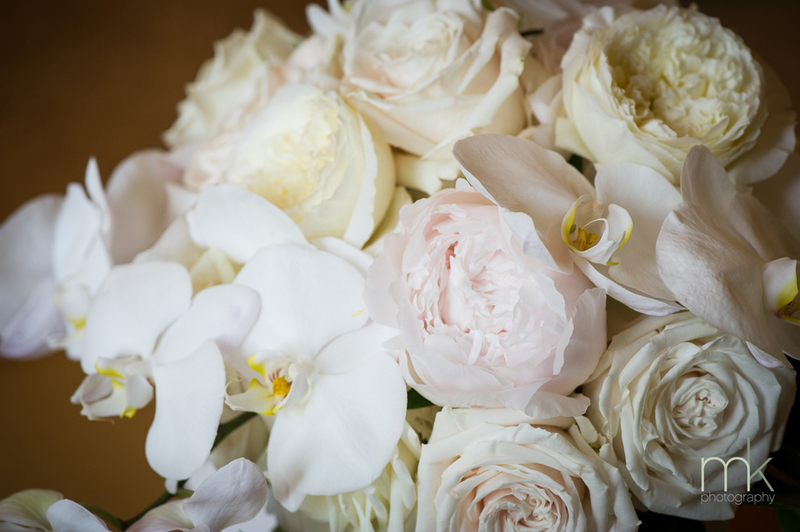 Old world charm paired with clean lines found harmony during the early month of June. 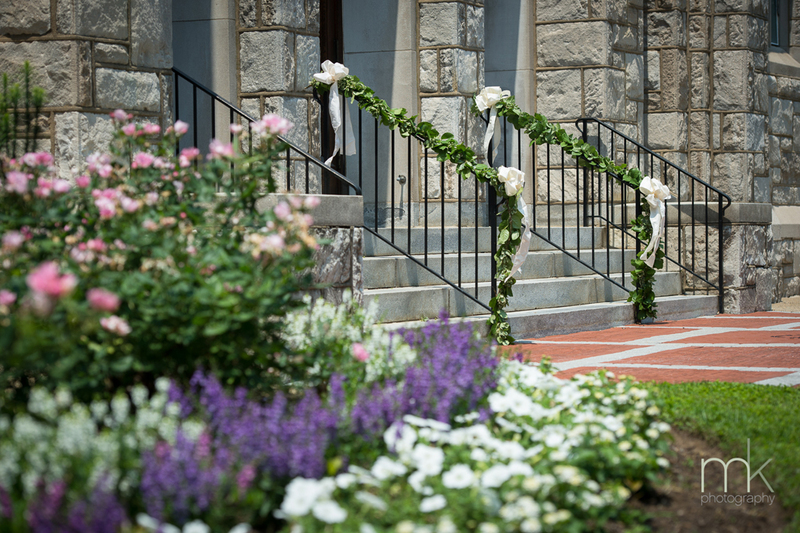 The Church held out open arms to warmly welcome guests with handrails of trailing greens and a touch of white satin ribbons. 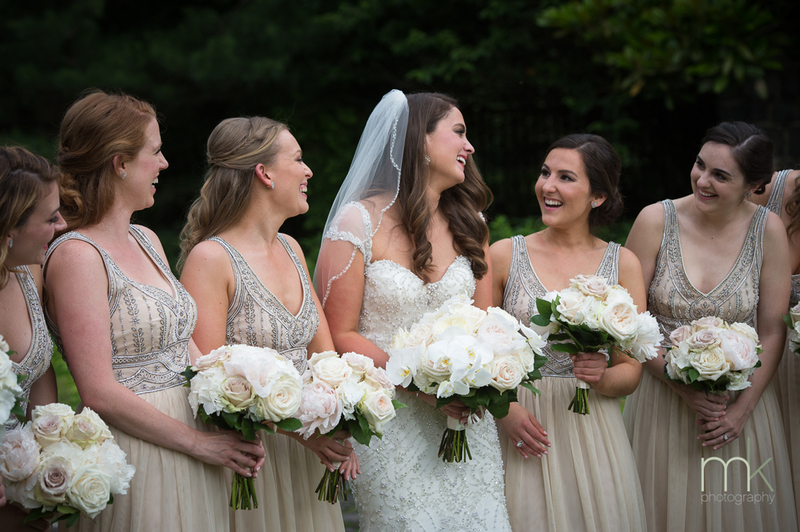 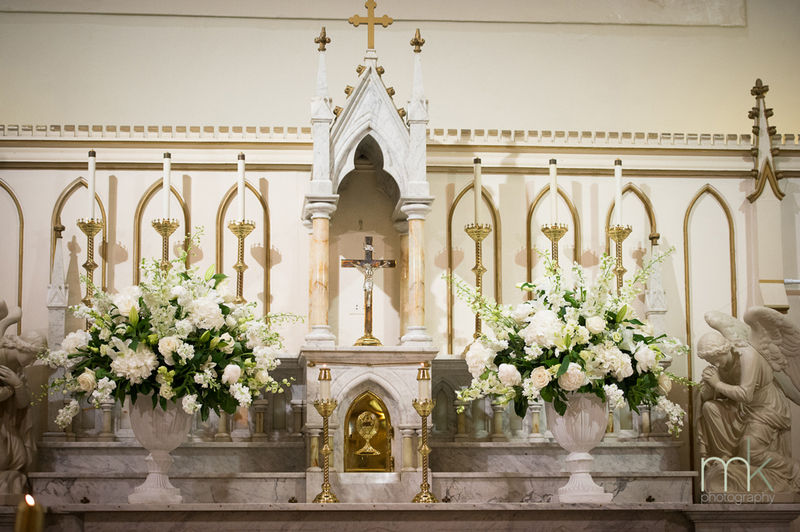 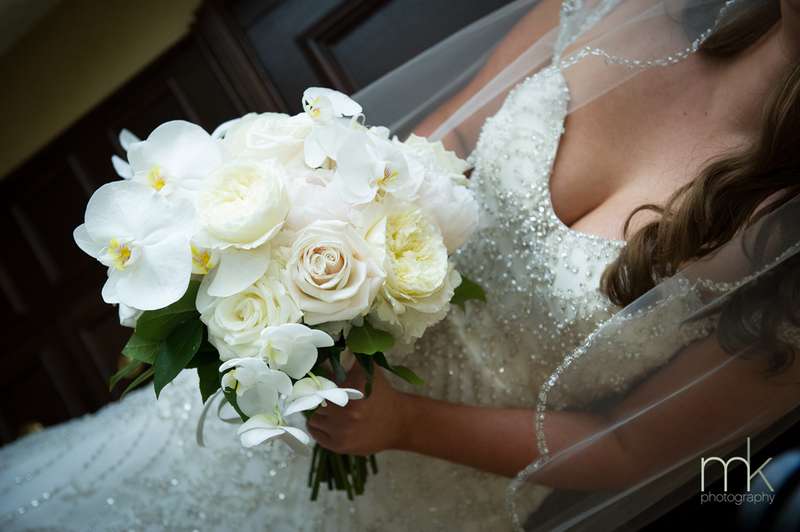 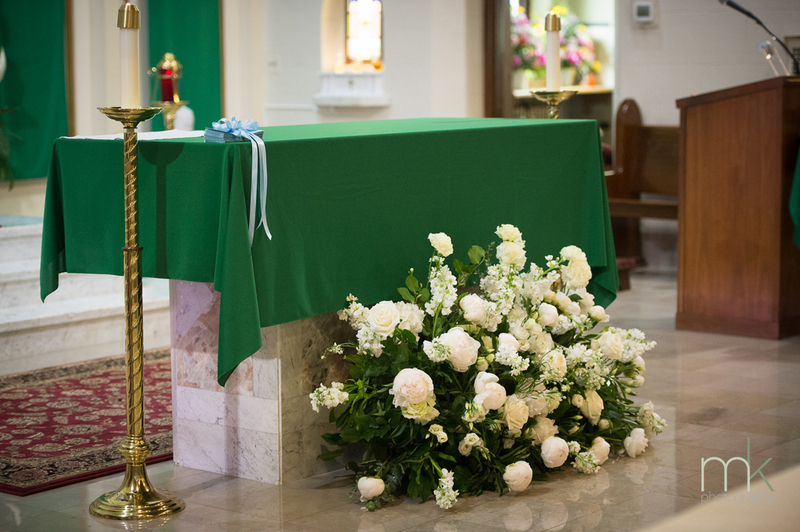 The altar was dressed with an ever giving volume of white blooms in their eye catching four foot tall urns. 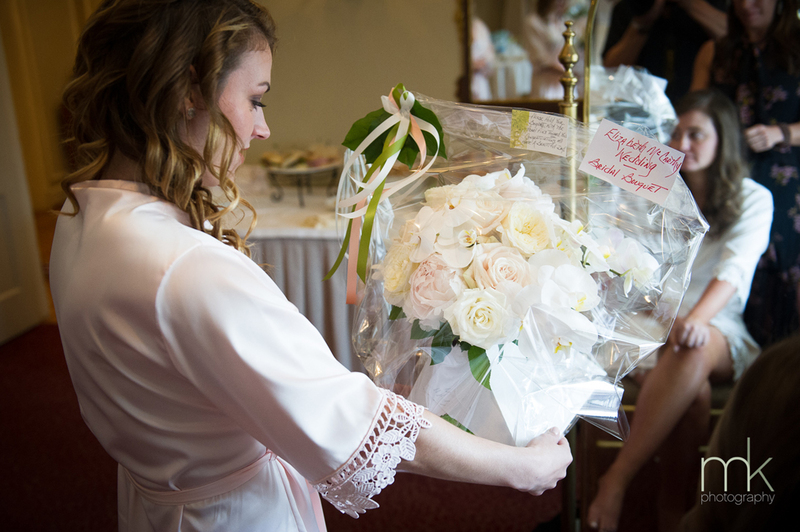 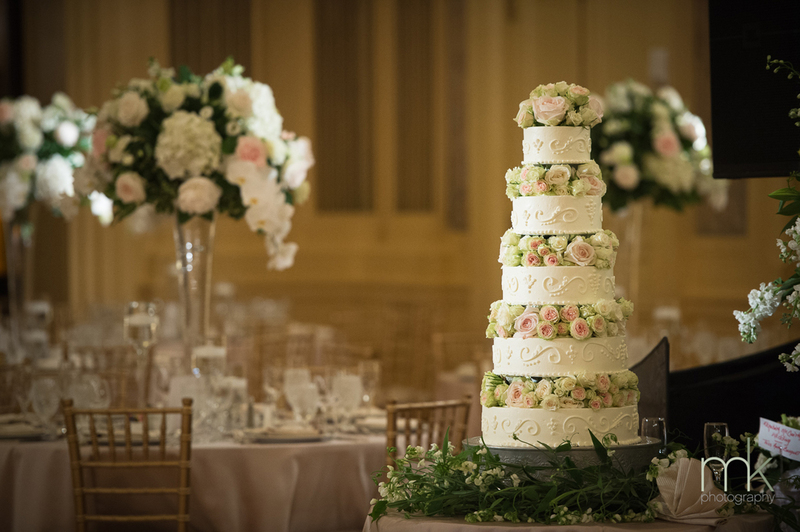 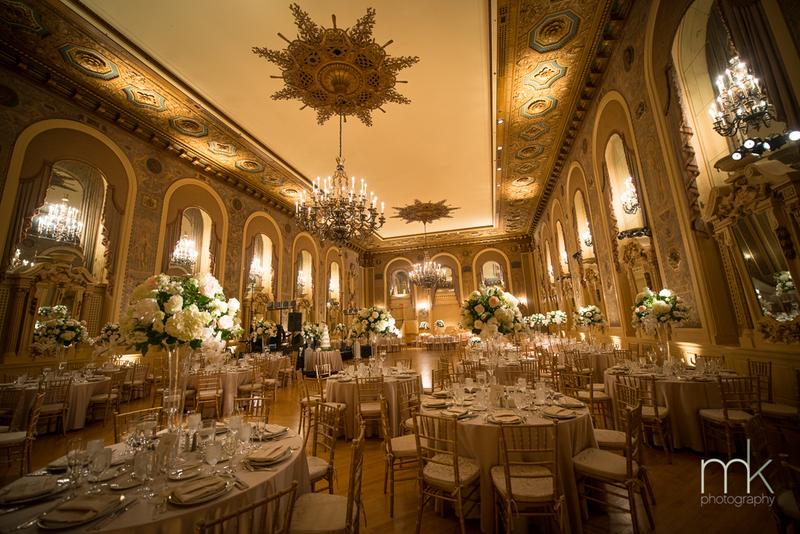 Guests were then taken to the soft blooms of the high centerpieces that were anchored by the historic walls of the Gold Ballroom. 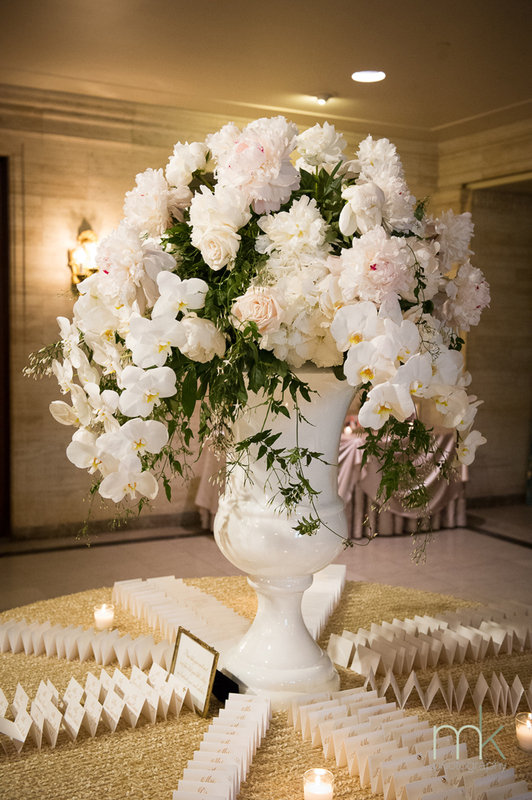 Blooms of hydrangea, peony, phalaenopsis orchid, Japanese lisianthus and a variety of roses atop sleek clear glass trumpet vases, effortlessly upheld their classic beauty without skipping a beat. 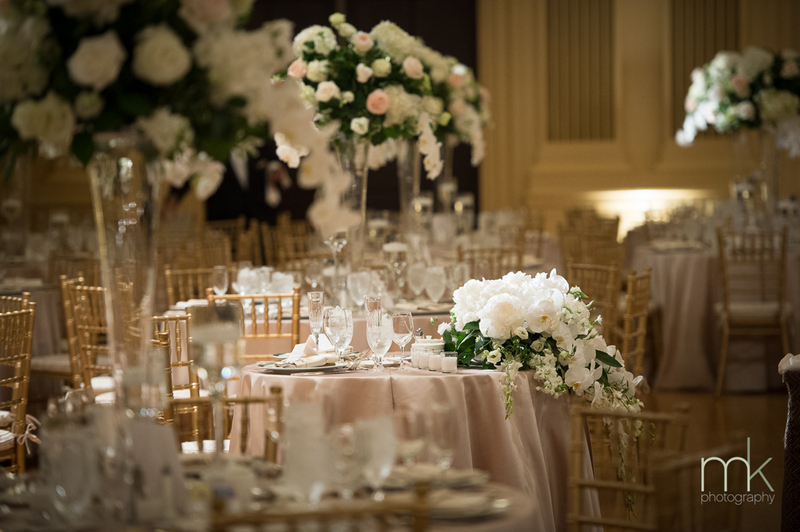 Touches of flowing florals on the Welcome and Sweetheart Table allowed for the guests to be swooned in by the Bride and Grooms magical night in their palace-like surroundings.